Wheel Sport, a small local chain of bicycle sales and repair shops has it's eyes set on expansion. 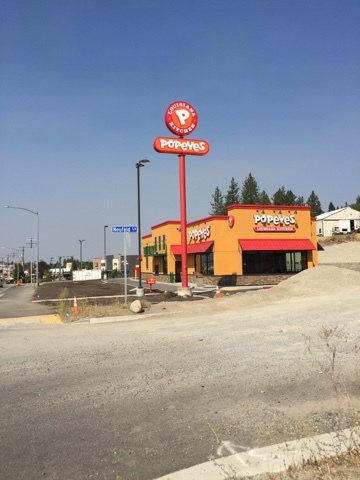 This with the reveal that the business has acquired a building in North Spokane for it's fourth store location. 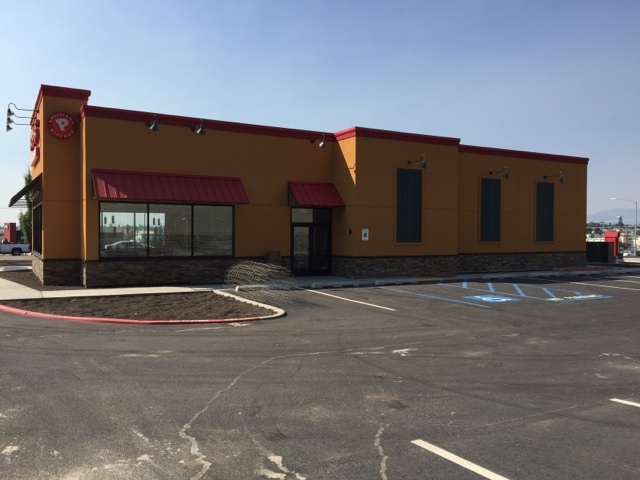 The business will remodel the interior and exterior of the 3200 square foot building at 9501 N. Newport Hwy ( corner of Newport & Holland ) for this new store. As some may recall, the building last housed an auto repair business called Northgate Import Specialties . They hope to have the store open for business sometime this winter and like other Wheel Sport stores it will feature both retail bicycle sales and repairs. Construction plans even call for the new store to share the space with a small coffee shop. Wheel Sport has been in business in the Spokane area for decades and even has been ranked as the best bike shop in the Inland Northwest for the last 15 years by readers of the Inlander. The business sells a number of bicycle brands including Specialized , Pivot Cycles, Fuji and many more including a selection of cycling accessories . If you've been to the Fair, Hoopfest, Pig out in the Park or any number of local events you've likely noticed Mac Daddy's before . A food booth serving up incredible mac & cheese in some delicious forms like a mac & cheese burger to a grilled bacon mac sandwich and more. This locally owned and operated business has been keeping Spokane full and satisfied for a while now. But, soon it won't be an every once and while event to eat Mac Daddy's. This is because Mac Daddy's is prepping to open a new brick and mortar restaurant called Mac Daddy's Pub and Grill! I'm told the restaurant will not only have the same menu items as their event booths but even more with an expanded menu. They also have applied for a full liquor license to make them a sports bar type establishment . There isn't a set opening date just yet but they do hope to open next month. 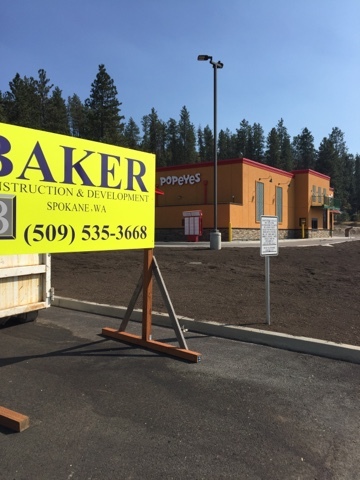 The new place will be located within the Fairwood Shopping Center at 415 W. Hastings Rd in North Spokane. We can now confirm that Pendleton Woolen Mills will have a retail store soon here in Spokane. Pendleton will lease a 3150 square foot storefront on the second floor or River Park Square in Downtown Spokane. Some remodeling will need to be done but the store should be ready to open as soon as November. Pendleton is a popular high quality brand of blankets and wool clothing made for both men and women. The brand is sold through many different outlets including online. They also have a few other retail stores including a flagship store in Portland and 5 locations in Western Washington. A new dollar store is setting up shop in the long vacant space in the center of the Division St. Square building at 3609 N. Division ( Suites C & D ). The new store which will go by the name Dollar Cents should be open sometime before the end of the month and will occupy 9300 square feet of space. Dollar Cents will sell a wide variety of merchandise in small departments like most dollar stores and will actually order from largely the same suppliers as the Dollar Tree chain. The store will employ around 10 and will be the one and only Dollar Cents store. But that's just for the time being as they hope to change that. 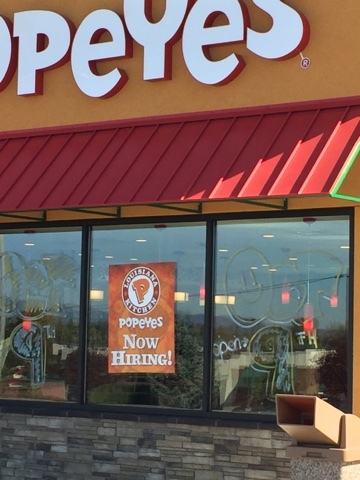 The owners hope to make the store a chain with goals to open new stores every 6 months. But, no sure thing about where or when any other stores may end up opening. The Spokane foodie community is buzzing over what's new at The Buzz. For those that don't know The Buzz is the place that had been called The Buzz Coffeehouse, Bar & Lounge near Fred Meyer at 501 S. Thor in Spokane. While they no longer have the coffee they do have a great selection of beers and wine. And now they also have an exciting food menu as well . The food menu offers many pizzas which is also the reason why they've switched their name over too The Buzz Pizzeria, Bar & Lounge. Now guests of The Buzz Pizzeria, Bar & Lounge will find about a dozen specialty pizzas like Pesto Chicken, Thai Peanut, Veggie and more. Also, there is a list of toppings for those seeking to " build your own " pizza. Also on the menu is a few delicious sounding sub sandwiches, salads, wings , flatbreads and more. There is even several flavors of cheesecake available on the dessert menu. Pizza's from The Buzz can be taken to go but the restaurant also has indoor seating and a bar on site. In the transition over to a more pizzeria type of restaurant they are also adding some arcade games and a juke box inside. Wake Up Call Coffee to open a location at former Albertson's gas station on NW Blvd. The final piece of the puzzle in the re-development of the former NW Blvd. Albertson's ( NW Blvd. / Maple ) is falling into place. Goodwill and Planet Fitness have already opened in the former grocery store building and the northeast side of the parking lot will so be home to another Carl's Jr fast food restaurant. But that leaves the former Albertson's gas station space on the northwest side by Ash St. . The gas station's old convenience store building will actually stay standing and be remodeled. This for another new location of the local Wake Up Call Coffee chain. 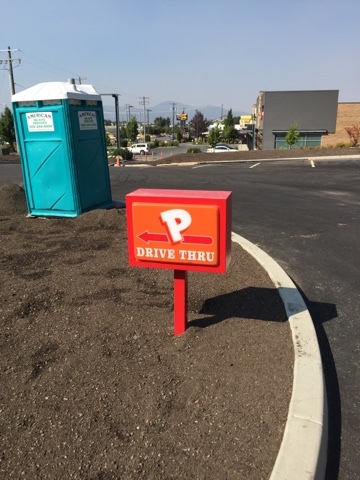 Once only in Spokane Valley, Wake Up Call also recently opened 2 locations within the city limits of Spokane. This will be their eighth location overall serving a delicious menu of coffee, espresso and tea drinks and fresh baked goods, oats and treats. There will be just one thing that sets this locations building plan apart from other Wake Up Call Coffee locations. That is the look of the building as all Wake Up Call stores have a large red London Phone Booth towards the front of the building. 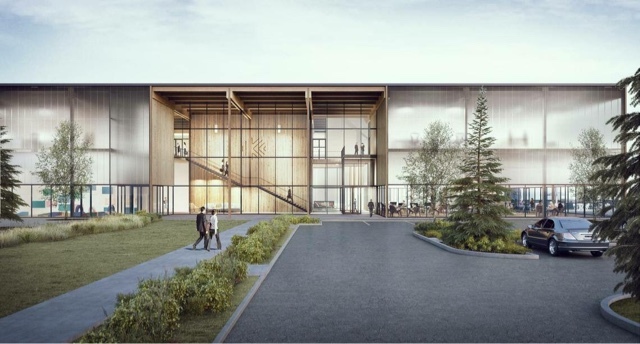 This is not included in the construction building plans, but it shows a new more streamlined design with a more prominent company logo. But like the other locations the new coffee shop will have both a drive through and a small indoor dining area. The shop will be 1248 square feet and there is no opening date listed as of my writing this. Another new business rumor has been confirmed. This one surrounds the rumor that Carter's is planning a second area store in Spokane Valley Mall. We've uncovered building plans that show Carter's coming in a unique fashion. The plans actually show a remodel of a space in the mall into a Carter's / Oshkosh B'gosh co-branded store. Both are similar retailers / clothing brands but Carter's already operates one store in Spokane and Oshkosh B'gosh does not. The other Carter's is a decent sized place in the Northtowne Square shopping center in North Spokane. The store would be a complete remodel of a few spaces on the ground floor of the mall ( suites 1130-1134 ). This in southeast corner of the center court area of mall, nearby JC Penney and lots of other stores. With the merged suites the store will have a little over 5000 square feet with no mention of how much space would be dedicated to each brand. Carter's and OshKosh B'gosh are both baby, toddler and childrens clothing companies that we're once competitors until Carter's acquired OshKosh in 2005. Today Carter's has over 650 locations and OshKosh has over 300 including product sales through several other channels. 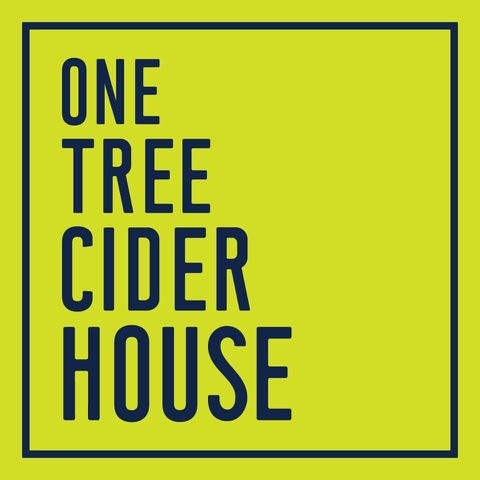 One Tree Hard Cider to open their new Downtown cider house this Friday! Originally established in 2014, One Tree Hard Cider has grown by leaps and bounds. Their ciders are sold at many bars , bottle shops and grocery stores all around the region including a small tasting room in Spokane Valley. But, starting this Friday Sept. 8th, that tasting room will transition over to an exciting new storefront in Downtown Spokane. 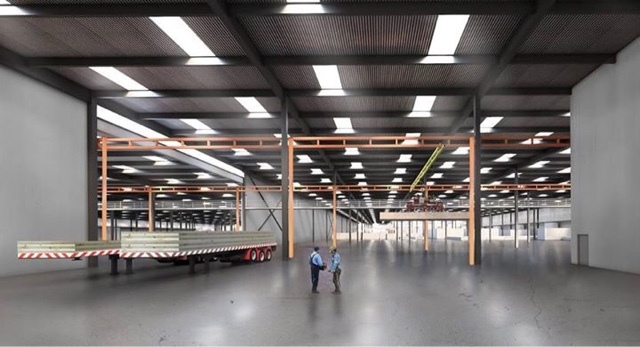 The Valley location will be used for more production space after the move. The new Downtown Spokane One Tree Cider House will be located in about 1600 square feet of space at 111 S. Madison St. and will be the first cider house in Spokane's Entertainment District. The new Cider House will boast the largest selection of craft ciders in town, as well as a selection of craft beers and wines pouring out of 20 rotating taps. The space is described as having a comfy-hip feel with couches , tables and booths. A limited food menu will also be offered that includes unique house made pizzas, appetizers and more. Gluten free options will also be made available. 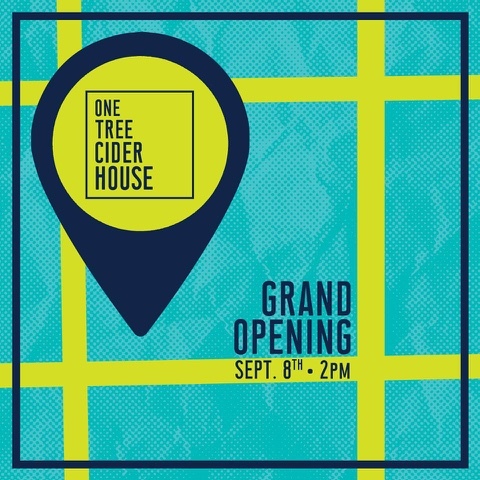 For those eager to check it out, One Tree Cider House will host and official grand opening on Friday Sept. 8th beginning at 2pm - close. Most of the chain retailers seem to be closing stores left and right, but Spokane's local retail businesses aren't about to back down. One of those local businesses Prairie Dog Pet Mercantile is expanding and recently announced that they are now setting up a second location in the heart of the popular Kendall Yards neighborhood. Prairie Dog Pet Mercantile is a pet supply retailer that carries premium holistic pet foods and treats. They also carry more general supplies like toys, pet beds, grooming supplies, gifts and more. Their staff even includes Certified Professional Dog Trainers to direct customers on the right path for training and care of their pets. The store will occupy the 700 +/- square foot space at 1206 W. Summit Pkwy where Monkey Boy Bicycles operated for sometime. Prairie Dog is hoping to open there sometime around the end of September. They also do plan to keep their original location open for business, that store can be found on the South Hill at 5608 S. Regal Suite 100.